The Health Insurance Company of the Southwest is also known as Firstcare Health Plans. This Texas based insurance company provide health insurance coverage to small and large employers, families, individuals, and federal agencies. After Firstcare Health Plan came into existence in 1985, the company expanded to offer products and services to state government agencies as well as the general public. Lower your health insurance rates by entering your zip code and getting an online quote today! Today, Firstcare Health Plans works with other health insurance providers such as Chip Children’s Medicaid, Maxor National Pharmacy Services Corporation and Providence Healthcare Network to provide patients with the highest level of care possible. 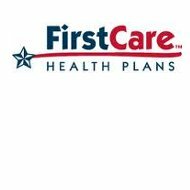 Firstcare Health Plans is not currently accepting new customers. Residents of Texas that have Medicaid or Medicare may be able to enroll in a Firstcare Health Plans supplementary insurance group. New and existing clients may also call Firstcare Health Plans at 1-800-884-4901. This number is for general inquiries; however, customers can also be transferred to the correct department if they have questions that are more pressing. Firstcare Health Plans makes it very easy for customers to get in contact with their representatives. Several phone numbers are posted on the company website, and all of the insurance providers’ addresses are also listed. Customers can also make Firstcare Health Plans aware of their opinions by filling out the online feedback form. Lastly, written correspondences can be sent to Firstcare Health Plans at its corporate address. Firstcare Health Plans is open weekdays from 8:00AM to 6:00PM CST. Customers can ask questions about their existing policies, the status of their insurance claims or make changes to their accounts over the phone. They can also access their vital information by logging onto the Firstcare Health Plans web portal. Because consumers can get online at any time of the day, they are urged to go first to their online accounts in order to save time and effort. There are only a small number of jobs currently posted on the Firstcare Health Plans website. All job openings are in the state of Texas. Firstcare Health Plans encourages its employees to further their education, and there are tuition assistance programs available for those that want to get their degrees. Although Firstcare Health Plans is a smaller company, it appears that it offers its staff a generous benefits package that rivals the benefits offered by larger corporations. While Firstcare Health Plans is not extending medical coverage to individuals or employers, there are several different social services programs that the company is working with. Patients that live in the state of Texas, live in a participating county and receive Medicare, Medicaid or other state funded insurance coverage can be enrolled with Firstcare Health Plans. The insurance provider may decide to offers its insurance products and services to consumers again in the future. Supplementary insurance plans for Medicaid are offered by Firstcare Health Plans. This includes prescription drug plans. Medical insurance plans for low-income families, pregnant women and the children of parents on social services can also get coverage from Firstcare Health Plans. Most customers appear to be completely satisfied with the level of service they receive from Firstcare Health Plans. Firstcare Health Plans makes an effort to give its customers access to all of the forms and information that they need about their policies online. In addition, because Firstcare Health Plans has several contracts with government agencies, the company works to a high standard in order to keep state employees and other patients happy. Firstcare Health Plans states all of its terms, restrictions and policies clearly on the company website, which can be perused before customers decide to purchase a policy. View your health insurance quotes in real time after you enter your zip code!